This dataset of Common Model Organisms in Aging as Human Homologs is essentially a list of genes with a common ancestral DNA sequence with humans. It also includes a brief description of the species, symbol and model organism among others. For a gene to be featured, its association with aging and/or longevity must be unambiguous, and hence most genes were selected based on genetic manipulations and not mere correlations. This dataset is a list of genes related to a second gene by descent from humans that has a common ancestral DNA sequence, which is termed as homolog. This dataset comes from the GenAge (Genetic Aging) section of the Human Ageing Genomic Resources (HAGR) which is a repository containing information about the genetics of human aging. Information is obtained from modern approaches such as functional genomics, network analyses, systems biology and evolutionary analyses. The human dataset in GenAge is a curated database of genes that may regulate human aging or that at least might be considerably associated with the human aging phenotype. 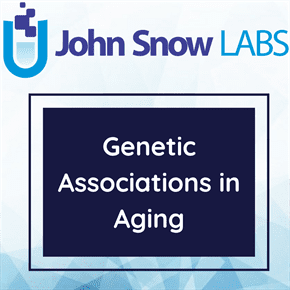 It is a functional genomics database designed to provide up-to-date information in the context of aging and molecular genetics. Because the focus is on the fundamental aging process, what some authors call senescence, and not just age-related pathologies, the human dataset features primarily genes related to biological aging rather than genes that only affect longevity by having an impact on overall health. This is an important point because longevity can be influenced by factors unrelated to aging, and the distinction is crucial, albeit often difficult. (For those interested in genes associated with human longevity, please refer to the LongevityMap). Likewise, a gene is differentially expressed during aging is not by itself proof that this gene is causally involved in the aging process. Nonetheless, for researchers studying transcriptional changes with age, also available is a separate dataset of genes commonly differentially expressed during mammalian aging which were identified by performing a meta-analysis of aging microarray data. Each gene in the human homolog dataset was selected after an extensive review of the literature. They were identified genes associated with aging in model organisms as well as those that may directly modulate aging in mammals, including humans. Each gene was selected or excluded based on its association with aging in the different model systems, with priority being given to organisms biologically and evolutionary more closely related to humans. Because the focus is on the genetic basis of human aging, there was no in-depth description of aging in model systems but was rather incorporated in the information gathered from multiple models to gather clues about the genetics of human aging. GenAge has its limits but the aim is to include the most relevant information, but not all the data are available. The human dataset in GenAge can be helpful in more classical genetic studies of aging and longevity. For example, if a given chromosomal region is identified, it is possible to look up which genes are present in that region. Although GenAge is not a bibliographic database, the bibliographic references in the human dataset can be a useful resource.